Gede Pangrango Ultra Marathon will be started from Gede Pangrango National Park, Cibodas. An Ultra Sky Trail Running Race with various gain elevation. 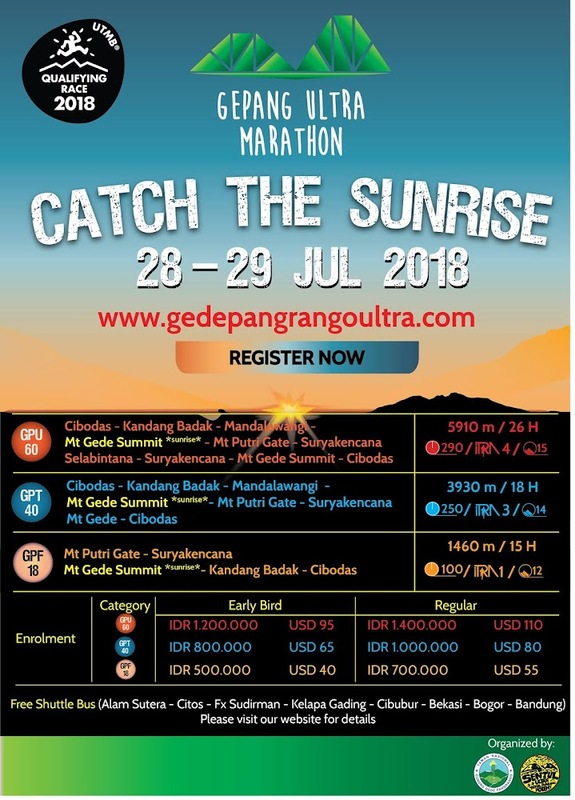 Catch the beautiful sunrise at the summit of Mount Gede by joining “Gede Pangrango Ultra Marathon”.